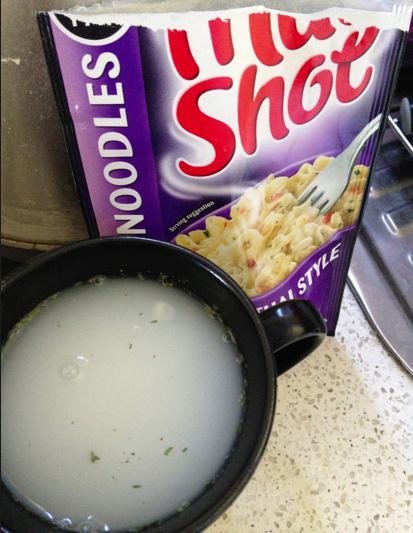 Mug Shot are the latest for lunch or snack on the go! Those who need to have a snack ready quickly when that hunger stricks, those who eat at their desk at work, those who are looking for that nice hot filling snack in those winter cold days. Or for us recently the Mug Shots came in perfect use for when we were sick as I honestly just didn't have the energy to stand around in the kitchen cooking for myself. 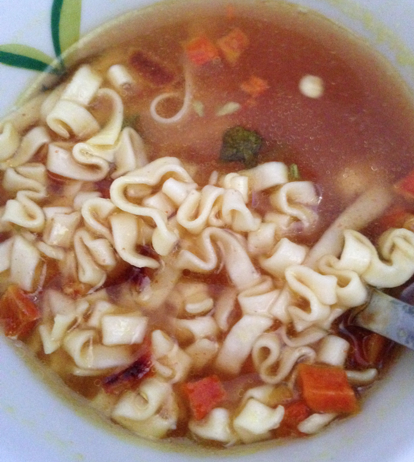 There is just something about having a hot cup of soup when your'e sick that gives you that feeling of being almost instantly better. 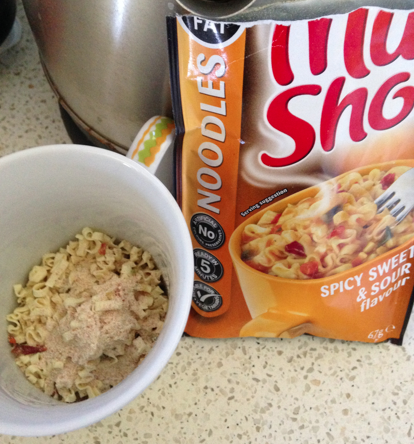 You need nothing but a mug and some boiling hot water - pop your satchet into the mug and add boiling water allowing it to sit for 5 minutes and wah la a hot meal is served! 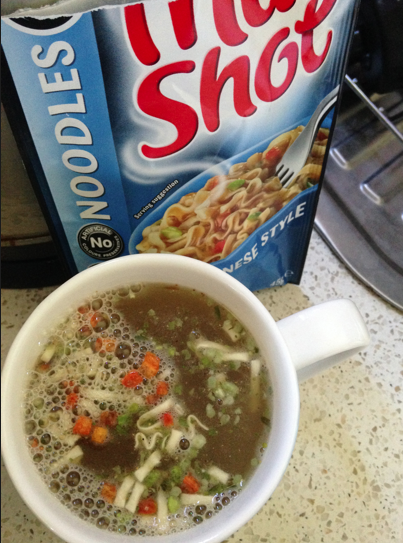 We know that cup of soups are oh so convenient but bad for you so we now have Mug Shot which are low in fat with only containing a variance of 1-3% fat in each flavour. The range is suitable for vegetarians, contain no artificial colours or preservatives, and are baked, not fried, making them low in fat. 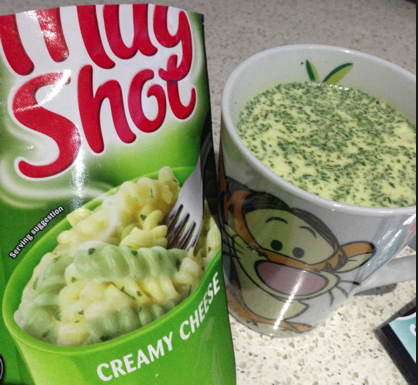 When these arrived a few weeks ago I had my eyes set on the Creamy Cheese pasta based Mug Shot but unfortunately I was a bit let down by this as it had a powdery taste to it but the pasta was delicious. The Mug Shot didn't look like it was on the packaging and all stayed sunk to the bottom which was a bit disappointing. 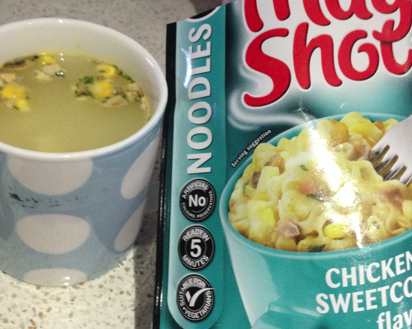 Dan had the chicken and sweet corn noodle based Mug Shot which smelt divine and wasn't too bad in taste. 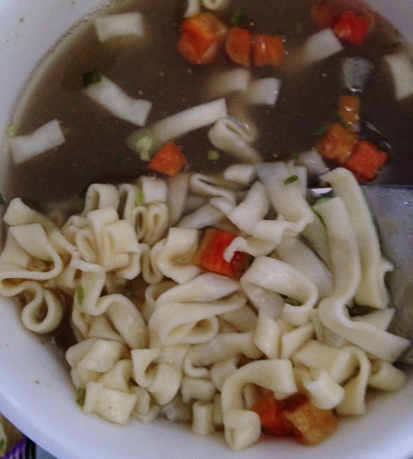 We just recently tried the Sweet & Sour, Thai Style and Chinese which these took us by surprise. What we had our eyes set on turned out to be the not so favs after trying out the rest that weren't so appetising or appealing to us to begin with. Sweet & Sour was really tomato like which is something that Dan didn't like purely because he isn't a tomato fan. I wouldn't say that I was much of a fan of it either as it was a little too much for me with the tomato taste. Thai Style was something different from what I would normally eat as Thai food I haven't experienced very much but this was a more milk consistency base and you could taste the ginger put in there - not a bad over powering ginger but just enough that it was likeable. Chinese has actually become my favourite from the Mug Shots - it was a beautiful hint of all the right spices and herbs to make us a warm soup base meal that had me feeling better after being ill. I do like the packaging as the bold look is eye catching and would bring your eyes to them on the shelf but I do believe the packaging really sets you up for this delicious stacked upon pasta or noodles but the adding of those into the cups doesn't appear when you are eating them until you have gotten rid of at least half to 3/4 of the liquid soup flavouring. Something I will mention that I really didn't like about the Mug Shot was that they have palm oil in them - I'm a bit of a palm oil no go zone on food so it was disappointing to see this was added in them. I am a frequent buyer of your mugshot products and my recent purchase has left me devastated and in horror. When I took a mouthful of noodles, I realised there was a white hair approximately 20-25 cm in length entwined around them. There is no possible chance it is my own or anybody else's in the household as we have black hair. 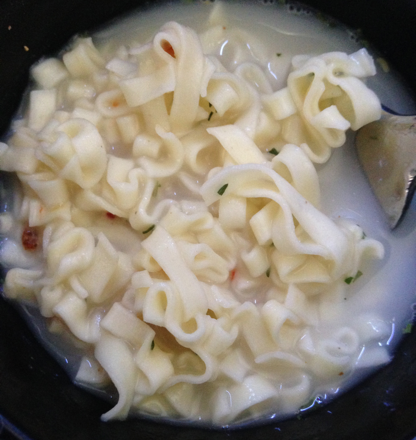 The hair was not only just on top or floating around but the fact that it was within the noodle pasta itself.